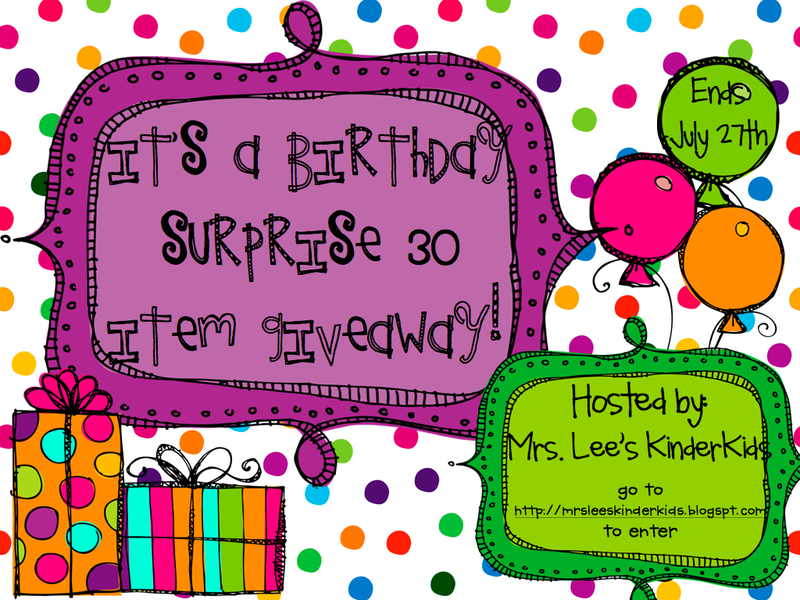 Mrs. Lee's Kindergarten: 30th Birthday = 30 Prize Giveaway! Oh my goodness y'all!! My twin and I are turning 30 this Saturday and we want to give one lucky winner 30 things!! We have some awesome prizes from some awesome blogging friends! I am so excited about this one. Can you imagine the school year with 30 new things for your classroom?! Check out who all is contributing below. 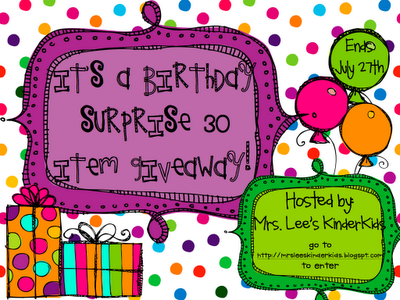 All you have to do is follow each blog and TPT store for your chance to win your 30 surprises! Leave a separate comment for each store and blog you follow. This giveaway will end Friday night at 11:59 and the winner will be announced Saturday on our birthday! Good Luck! Happy Birthday! I actually turn 30 on Friday! I follow your blog and store. I follow your store and blog! I follow DeeDee's blog and store! I follow Abby's blog and store! I follow Cara's blog and store! I follow Jamie Mayas' blog and store! I follow Mrs. Will's blog and store. I follow erica's blog and store! I follow April's blog and store! I follow Lindsey's blog and store! I follow Abby's store and blog! I follow Kim's blog and store! I follow Cara Carroll's blog and store! I follow Deanna's blog and store! I follow Erica's Blog and Store. I follow Growing Kinders blog and store. I follow April Larremore's store and blog. I follow KinderGals store and blog. I follow Deanna Jump's store and blog. I follow The Houndstooth teacher! Happy Birthday a little early! 30 isn't as scary as it sounds. :) I follow your blog and store! I follow Mrs. Wills Kindergarten blog! I follow The Inspired Apple! I follow The Inspired Apple's TPT store! I follow THe First Grade Parade! I follow Cara Carroll's TPT store! I follow Growing Kinders' blog and store! Happy 30th! I'll be with ya in Aug! Yikes! I follow Amy's blog and TpT store! I follow Jamie's blog and TpT store! I follow Hope's blog and TpT store! 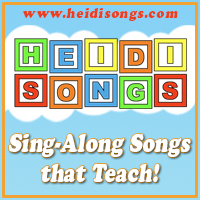 I follow DeeDee's blog and TpT store! I follow Abby's blog and TpT store! I follow The Teacher Wife! I follow Cara's blog and TpT store! I follow Erica's blog and TpT store! I follow Growing Kinders blog and TpT store! I follow Rachelle's blog and TpT store! I follow April's blog and TpT store! I follow Lindsey's blog and TpT store! I follow Kim A. 's blog and TpT store! I follow Busy Bee's blog and TpT store! I follow Deanna's blog and TpT store! I follow Jodi's blog and TpT store! I follow Denise's blog and TpT store! I follow Clutter Free's blog and TpT store! I follow Amy Hope's blog and store. I follow Julie Lee's blog and store. I follow Jamie Mayas blog and store. I follow Hope King's blog and store. I follow DeeDee Wills blog and store. I follow Abby Mullins blog and store. I follow Cara Carroll's blog and store. I follow Erica Bohrer's blog and store. I follow Kathleen Pederson's blog and store. I follow April Larremore's blog and store. I follow Rachelle Smith's blog and store. I follow Kim Jordano's store. I follow The Teacher Wife blog and store. I follow Kim Adsit's blog and store. I follow Busy Bee's blog and store. I follow Deanna Jump's blog and store. I follow Jodi Southard's blog and store. I follow Denise Boehm's blog and store. I follow Clutter Free Classrooms blog and store. I follow Jamie's blog and store. I follow April's blog and store. I follow Kathleen's blog and store. I follow Cara's blog and store. I follow Erica's blog too. I follow Deedee Wills' blog and store. I follow Abby's blog and store too. I follow your blog and store. I follow Hope's blog and store. I follow DeeDee's blog and store. I follow Kim's blog and store. I follow Abby's blog and store. I follow Rachelle's blog and store. I follow Lindsey's blog and store. I follow Deanna's blog and store. I follow Jodi's blog and store. I follow Clutter Free's blog and store. I follow Denise's blog and store. I follow Robynn abd Sye Beth's blog and store. I follow Deanna's TPT store. I follow Amy's blog and store. I follow Dee Dee's blog. I follow DeeDee's TPT store. I follow Kathleen's TPT store. I follow Abby Mullins TPT store. I follow Cara Carroll's blog. I follow Amy’s blog and TPT store. I follow Julie’s blog and TPT store. I follow April's TPT store. I follow Jamie’s blog and TPT store. I follow Hope’s blog and TPT store. I follow Kim Jordano's TPT store. I follow DeeDee’s blog and TPT store. I follow Kim Adsit's blog. I follow Abby’s blog and TPT store. I follow Kim Adsit's TPT store. I follow Cara’s blog and TPT store. I follow The Clutter Free Classroom's blog. I follow Erica’s blog and TPT store. I follow Kathleen’s blog and TPT store. I follow the Clutter Free Classroom's TPT store. I follow April’s blog and TPT store. I follow Rachelle’s blog and TPT store. I follow Kim’s TPT store. I follow Lindsey’s blog and TPT store. I follow Kim’s blog and TPT store. I follow Robyn and Sue Beth’s blog and TPT store. I follow Deanna’s blog and TPT store. I follow Jodi’s blog and TPT store. I follow Denise’s blog and TPT store. I follow Clutter Free Classroom’s blog and TPT store. I follow Clutter Free Classroom's blog & store. I follow Cara's blog & store. I follow Abby's store & blog. I follow Amy's blog and TPT store. I follow Amy Hope's store & blog. I follow your blog & TPT store. I follow Hope King's store and blog. 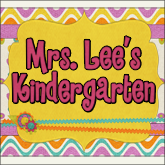 I follow Mrs.Lee's Kinderkids store & blog. I follow Jamie's store and blog. I follow Jamie Mayas' store & blog. I follow Babbling Abby's blog and store. I follow DeeDee Wills' store & blog. I follow Erica's blog & store. I follow Kathleen's store & blog.